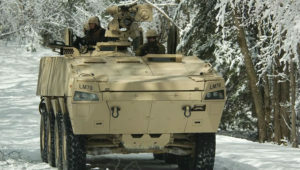 The HAVOC MPC is a former 8×8 wheeled Fighting Vehicle developed by Finnish Company Patria and US Company Lockheed Martin as a joint project. 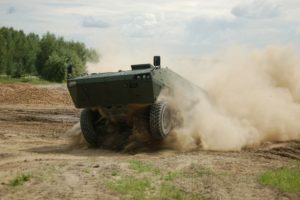 Based on the Patria AMV and incorporating Lockheed Martin technology, the HAVOC was developed as a joint project for the USMC “Marine Personnel Carrier” (MPC) program. Both companies have withdrawn from the joint project and the HAVOC is no longer offered. The US Marine Corps has operated their model of the LAV II, designated the LAV-25 8×8 Fighting Vehicle, since the early 1980’s. Though the vehicle has served the Corps well, it lacks the modern day digital archetecure, modular armor and has an almost obsulete calibre chain-gun. The Corps created a replacement program for the LAV-25 called “Marine Personnel Carrier” (MPC), which out laid their requirments and made availble funding for development contracts with key international defence contractors. 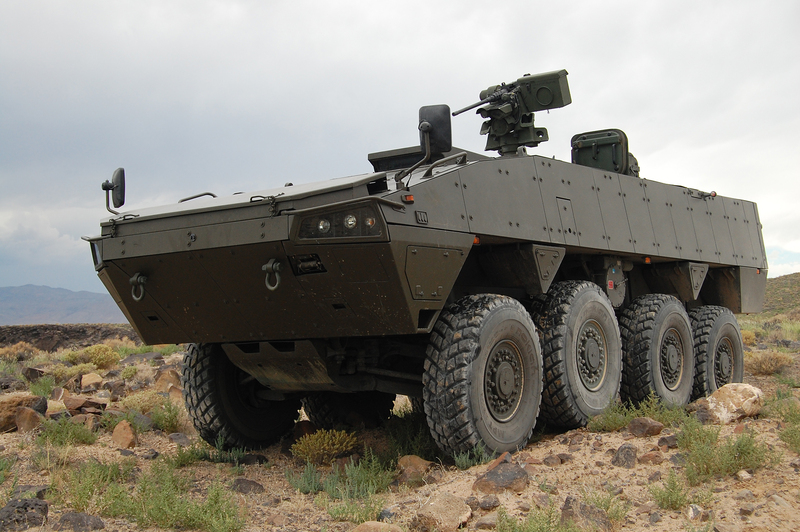 In 2007 Lockheed Martin teamed up with the AMV manufacturer Patria, producing the “HAVOC” which was based on the AMV. In August 2012, the USMC awarded development contracts to four companies, 1 of which was with Lockheed Martin/Patria for the HAVOC. Each company received $3.5 million contracts for a demonstration and study vehicle for water performance evaluation, survivability testing, and an analysis of human factors and stowage capacity starting in fall 2012 lasting 8 months. Evaluations took place at the Amphibious Vehicle Test Branch aboard Camp Pendleton, California, with further evaluations at the Nevada Automotive Test Center in Carson City. In June 2013 the Marine Corps officially put the MPC program on hold. in February 2014, General Jim Amos decided to postpone development of the Amphibious Combat Vehicle program (seeking a tracked replacement to the AAVP-7A1) and return funding to the MPC program, but is now known as the Amphibious Combat Vehicle (ACV) Phase I program. However, in July 2015 partnership between Patria and Lockheed Martin came to an end. 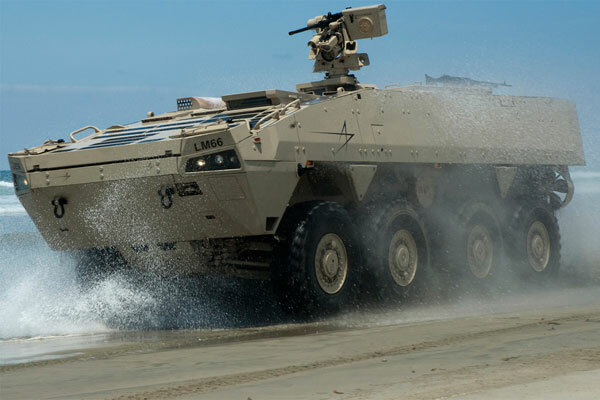 Patria is not competing in the ACV program, however Lockheed Martin has submitted their own vehicle, which they unveiled at the 2015 Modern Day Marine expo.